If you’re celebrating a graduation this spring, whether it’s for pre-school or law school, I’ve got a fun and easy graduation party food idea for you. 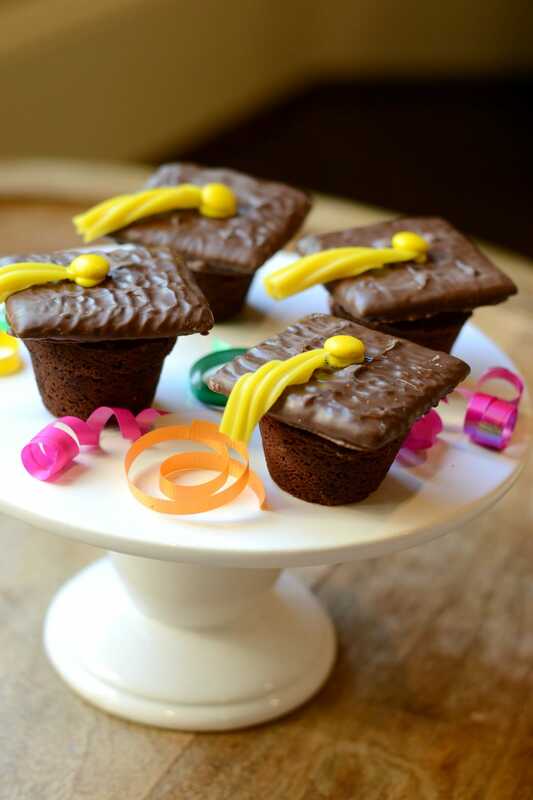 The best part about these chocolate graduation caps is that you can make them entirely out of store-bought items. I love fun party food that matches the theme of the party, but the execution is a whole other story. Let’s just say that what seems simple online is often quite the opposite in reality. So in order for me to a) attempt a cutesy dessert, and b) deem it worthy of sharing with y’all, it REALLY has to be simple and fool proof. 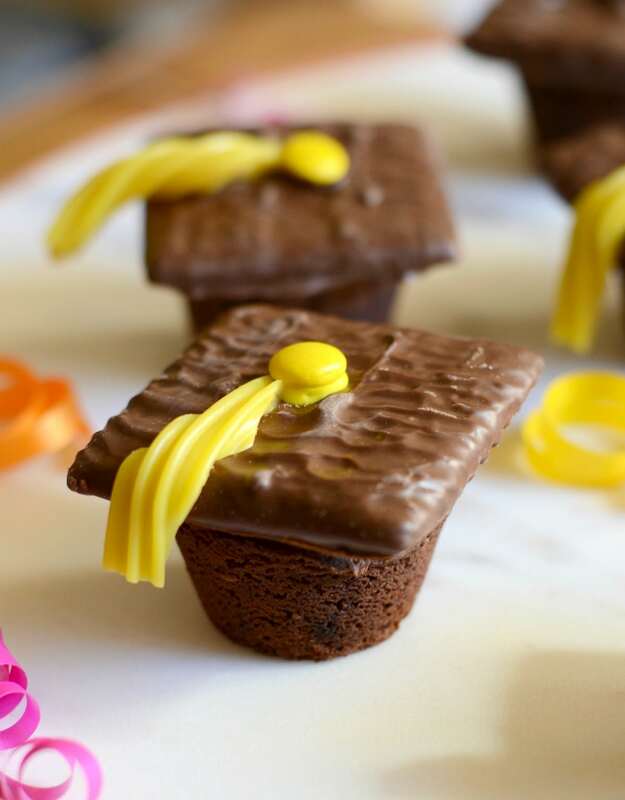 These little chocolatey graduation hats are really easy to make. Here’s the thing — if you love to bake and whip up creations from scratch, you can do that with this project. You can bake your own brownie bites, create your own chocolate-covered graham crackers, make your own frosting, and even pipe on your own tassels. BUT if you’re more into semi-homemade, store bought, easy stuff, then you’ll appreciate this easy graduation party dessert. Think of it an “assembly project” rather than a recipe. *I can find these at most major grocery chains in the bakery department. 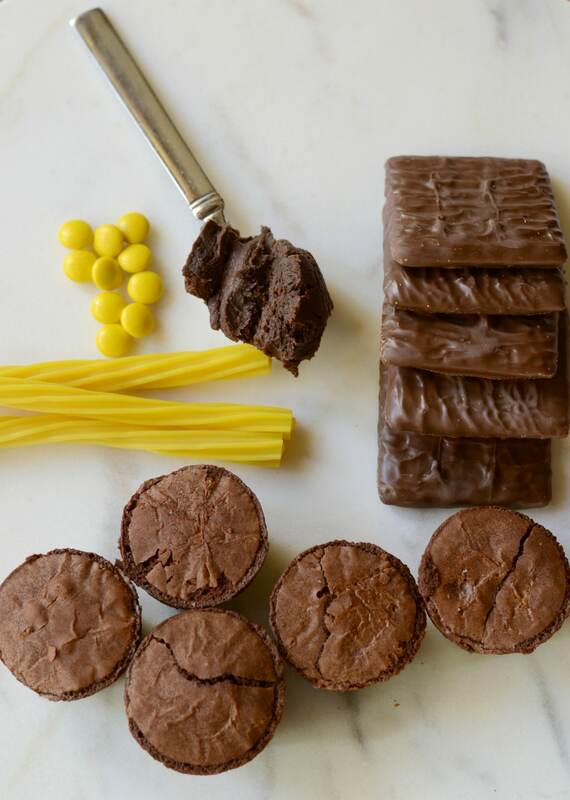 If you are having trouble finding them at your store, you can bake brownies in a mini muffin tin. **You can make your own chocolate graham crackers if you’re so inclined, but I prefer to skip the mess and buy them instead. These chocolate covered graham crackers are the ones I purchased from Amazon. They are a little pricey, but SO, SO good. 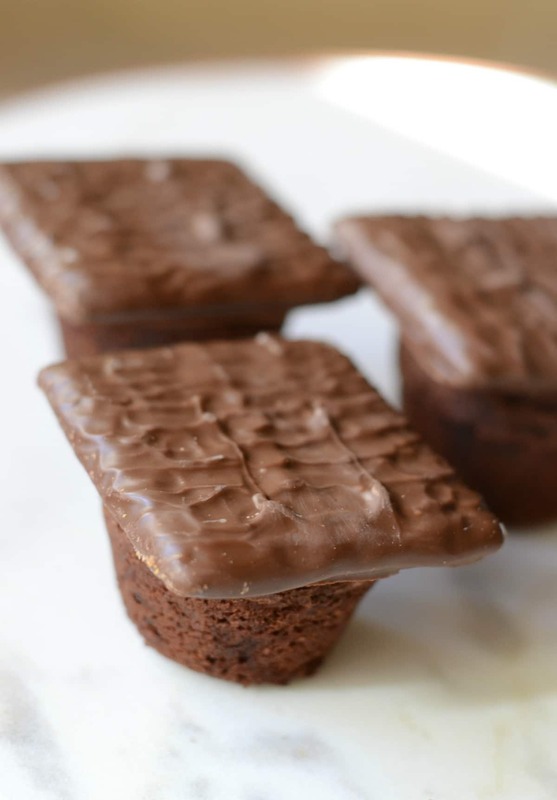 To assemble, first top each brownie bite with a thin layer of chocolate frosting. Then place the chocolate covered graham cracker on top. Slice the licorice twists into 3-inch pieces with a sharp knife (or cut with clean scissors) so that the top forms a point. Use your fingers to twist each candy piece to make it look like a tassel. 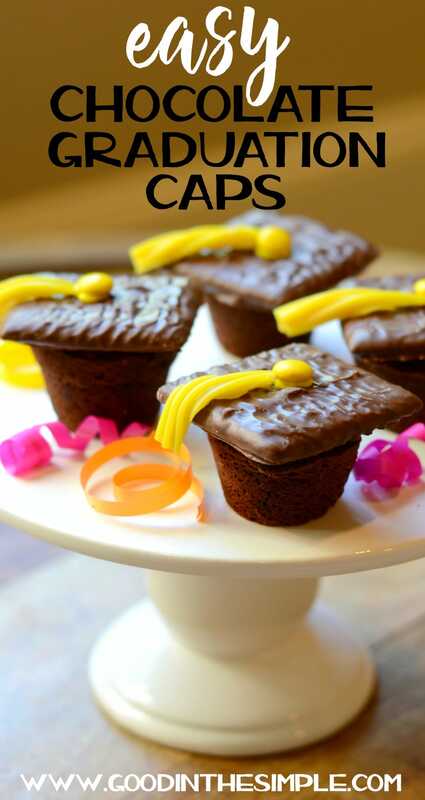 Place a dollop of decorative icing on the top and then add the chocolate candy. Allow to dry for a few minutes. HELPFUL HINT: If you find that your licorice is a little hard to manage, try microwaving it for a few seconds to soften it up. You can also try cutting the licorice in half if it’s thick. That will help it bend more easily. Repeat to create as many as you’d like! It’s such a cute dessert for a graduation party, and nobody will ever know how simple it was (unless you tell them).